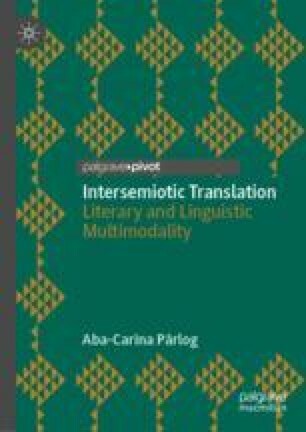 This chapter emphasises the innovative nature of the interdisciplinary work and shows its applicability in a wide range of fields, such as linguistics, translation studies, semiotics, multimodality etc. Multimodality is closely related to various forms of inscribing meaning in order to inform, sell, embellish, program behaviour, create false thought, etc. Intersemiotic translation makes all these transparent for the educated eye. The perspective upon the text, seen as a living organism meant to reach homeostasis which interlingual translation must re-establish with the help of different sign sets, imposes the idea of perceiving textual specificities as part of linguistic processes similar to the complex cellular ones that we encounter in the case of genetic development.